Since the 2016 presidential election, we've seen a surge in civic-minded donors supporting established public media outlets like NPR and ProPublica as a bulwark against the proliferation of "fake news." An off-the-cuff comment by a Fox News commentator set in motion a chain of events that added a new twist to this familiar script. CNN’s Brian Stelter tweeted that Fox News' Tucker Carlson told his viewers, "If you’re looking to understand what’s actually happening in this country, always assume the opposite of whatever they’re telling you on the big news stations." 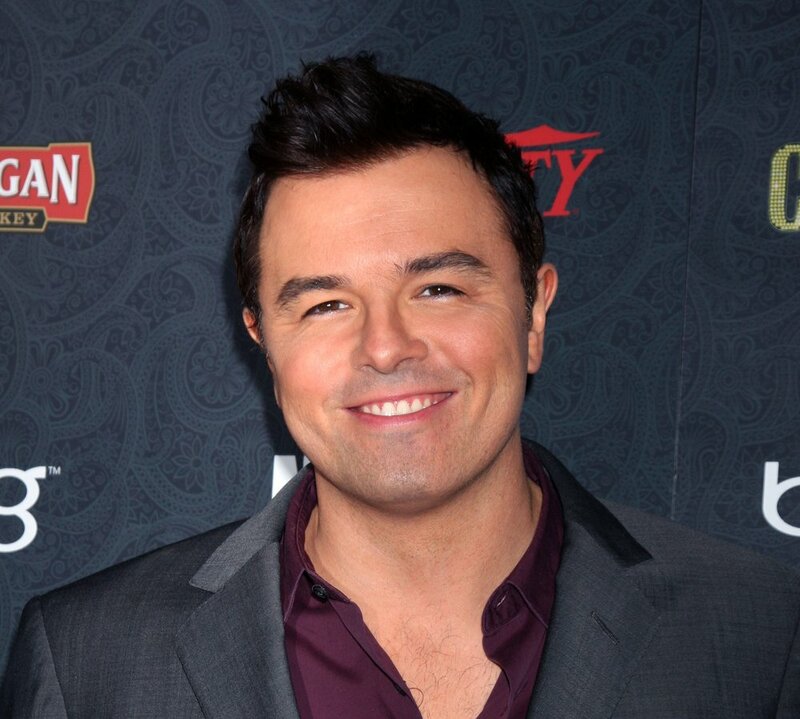 This did not sit well with actor, filmmaker and comedian Seth MacFarlane, who responded with his own tweet, saying, "In other words, don’t think critically, don’t consult multiple news sources, and in general, don’t use your brain. Just blindly obey Fox News." Then MacFarlane went a step further. The Family Guy creator announced a $2 million donation to support NPR’s Collaborative Journalism Network, which aims to better connect the outlet's 1,800 journalists with local newsrooms. MacFarlane also gave a $500,000 gift to Los Angeles’ NPR membership station, KPCC, the top news distributor for NPR content in Southern California. The station intends to leverage the gift as a challenge grant. "We are deeply appreciative of the generous gift from Seth MacFarlane, which will go to supporting local news coverage, allowing NPR and member stations to continue working together to tell the story of the whole country from everywhere in the country," an NPR spokesperson said in a statement. While the gift is somewhat of an outlier in the post-election journalism space (more on that in a second) it very much fits within the expansive philanthropic brand that MacFarlane has cultivated over the past decade. A couple of years ago, he was honored by Oceana, an international ocean conservation organization, for his longtime support and advocacy. He matched $1 million in pledges to the Kickstarter campaign to expand access to the popular kids' show Reading Rainbow. He partnered with Heaven on Earth Society for animals to establish Perry’s Place, the Perry MacFarlane Sanctuary, in honor of his deceased mother. And he was named the Harvard Humanist of the Year in 2011 because of his passionate support of the LGBTQ community. McFarlane's giving is another reminder that today's Hollywood winners have some seriously deep pockets. In earlier eras, creative people in the entertainment industry were often ready to lend their names to causes, but didn't amass the kind of major fortunes that enable large-scale giving. That has changed, and McFarlane—who is worth $250 million by some estimates—is a prime example of the new donors emerging from Hollywood. McFarlane's foray into journalism philanthropy, meanwhile, is interesting for two reasons. First, as noted, gifts of this nature typically come from institutional funders or major tech donors like Craig Newmark and Pierre Omidyar. It isn't too often we see a Hollywood type make a gift earmarked for an initiative focused on eliminating "news deserts" in the U.S.
That being said, in hindsight, we shouldn't be too surprised. MacFarlane's track record of civic-oriented gifts tends to veer to the left side of the political spectrum. He has donated over $200,000 to Democratic congressional committees and to the 2008 presidential campaign of Barack Obama. He also serves on the board of directors of People for the American Way. His public radio gift is also intriguing, because while funders usually cite social media, bots and sundry nefarious bad actors as the source of disinformation, MacFarlane set his sights on Fox News, a "mainstream" news outlet whose parent company also happens to be his employer. MacFarlane tweeted that statements like Carlson’s “make me embarrassed to work for this company." By focusing on a mainstream news source, MacFarlane's gift underscores the uphill battle donors face in their crusade against fake news. Scan some of the comments involving this story, and you'll find nuggets like this: "CNN is the true enemy of the American people," and "CNN… lies about EVERYTHING." In other words, one man's source of truth is another man's "enemy." It can make funders' effort in this space seem almost quixotic. After all, with funders concerned about establishing trust and engaging with the public, certain segments of the population on both sides of the political aisle will be unwilling to change their long-held perceptions, regardless of the facts presented to them. Do funders try to change these hearts and minds? Or do they reallocate resources to target more open-minded "independents?" Meanwhile, on the content side, do funders rely on human editors to determine what is "real?" Algorithmic tweaks? A combination of both? And to what extent does a user's intent factor into the equation? These aren't ephemeral philosophical questions. Facebook CEO Mark Zuckerberg recently came under fire for saying that some people who deny the Holocaust aren't doing it intentionally. "I’m Jewish, and there’s a set of people who deny that the Holocaust happened," he said. "I find that deeply offensive. But at the end of the day, I don’t believe that our platform should take that down because I think there are things that different people get wrong." This is complicated stuff, which is is why we're keeping a close eye on the News Integrity Initiative. Administered by the CUNY Graduate School of Journalism and funded by Facebook, the Craig Newmark Philanthropic Fund, Ford Foundation, Democracy Fund, John S. and James L. Knight Foundation, and others, the consortium works to "foster informed and engaged communities, combat media manipulation, and support inclusive, constructive, and respectful civic discourse." Check out our take on the initiative here.